There is no shortage of “Farm Data” (IoT); still people struggle to leverage it in a trusted manner. It’s not about creating more data; it’s about bringing it together. Farmers and Advisors want control of their data, privacy and sharing. Allows complete control over the type, timing, location and purpose of selective data sharing among people and clouds. Buyers and Regulators have concerns about food safety and social responsibility. Addresses field data collection through stakeholder alignment and auditor calibration. Low technology adoption on the ground.. Many failed “solutions” often create more work for the farmer, thus reducing data integrity and accessibility. Most tech companies miss the mark. 2D data doesn’t fit in a 3D world. It needs to “go outside”, only then does data transform to knowledge on the farm. Compliance data and validation is often unmanageable due to unstructured or unavailable field data. Uses machine learning and proprietary recognition technologies to “align” information from any source. Lack of visibility across the food supply chain creates reactive vs. responsive behavior. Securely mediates trusted information to enable real-time dashboards and validated scorecards. Decision data is often duplicative, unconfirmed, not available or outdated. Centricity solutions enable real-time awareness across the supply chain vs. static reports or archaic on/off privacy. We create and implement world-class applications. Centricity connects people, processes and systems with leading data security, privacy and accessibility solutions that facilitate equitable market access, safety, security and sustainability. Our proprietary trust and data mediation technology solves challenges of connecting the Internet of Ag in a way that protects intellectual property and builds trust across the food supply chain. please also visit “Our Community” for additional Non-Profit Organizations that we support. 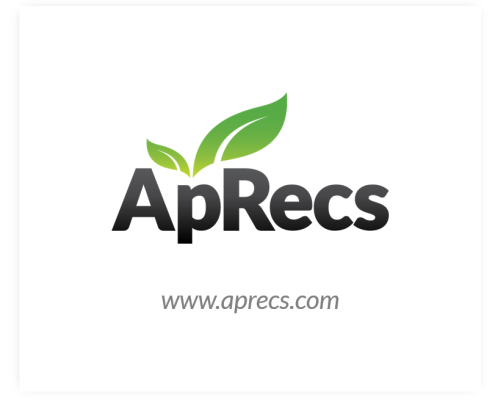 Serving thousands of Growers, Advisors, Processors, Sales and Retailers in the Agricultural Industry, ApRecs is a suite of web and mobile applications that help to improve operational workflow, communications and analytics with an emphasis on continuous improvement and efficiencies. With ApRecs, it’s easy to make a recommendation and even easier to maintain compliant records. Our Customers relate agricultural chemical and operational information (work orders, inventory, load sheets, scouting…) in order to reduce costs, improve efficiency, validate compliance and access global markets. Not just another spreadsheet. Binder harnesses the power of artificial intelligence to take everything you throw at it – scouting reports, application records, invoices, signature sheets and forms – and automatically shapes them into a streamlined Food Safety and Sustainability Binder. 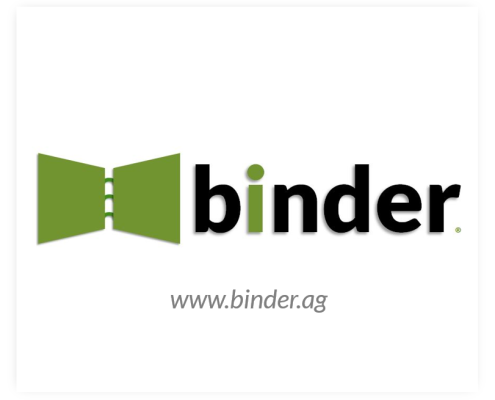 Binder works for you, effortlessly preparing audit control sheets, report summaries and secure certificate data exchanges. Want to manage multiple audits and customers? Various schemes? Retain corrective action documentation? Binder just takes care of it. This is not a macro-enabled spreadsheet. Binder is your personal Food Safety & Sustainability records manager. Discovering and aligning billions of data points with countless formats across millions of locations and then compiling aggregate data into meaningful information is no task for the faint of heart. Once you have completed the task, consider how to securely mediate the data amongst interested parties by recreating the business and regulatory landscape into multi-tenant licenses and trust connections. Or, just connect it with Liberty. 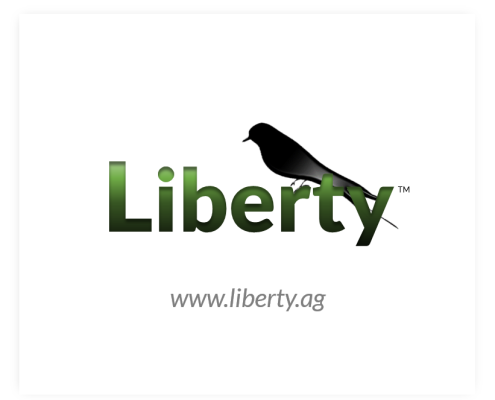 The Liberty Architecture is a set of modular tools and professional implementation services that overcome challenges with Data Normalization, Discovery, Security, Mediation and Trust Management. In addition to our proprietary framework, we are collaborating with The Open Ag Data Alliance to provide a limited set of Security and Trust libraries to the Open Source Project.